Fill in the other form of the adjective and select the correct word in the sentence. Grammar for Quest 2 Unit 5, an Oxford English test. It is important to learn when to use either 'ing' or 'ed' ending for certain adjectives- and what the difference in meaning is. This printable, downloadable handout is a great resource for high school students and elementary school students at Elementary (A1) and Pre-intermediate (A2) level. 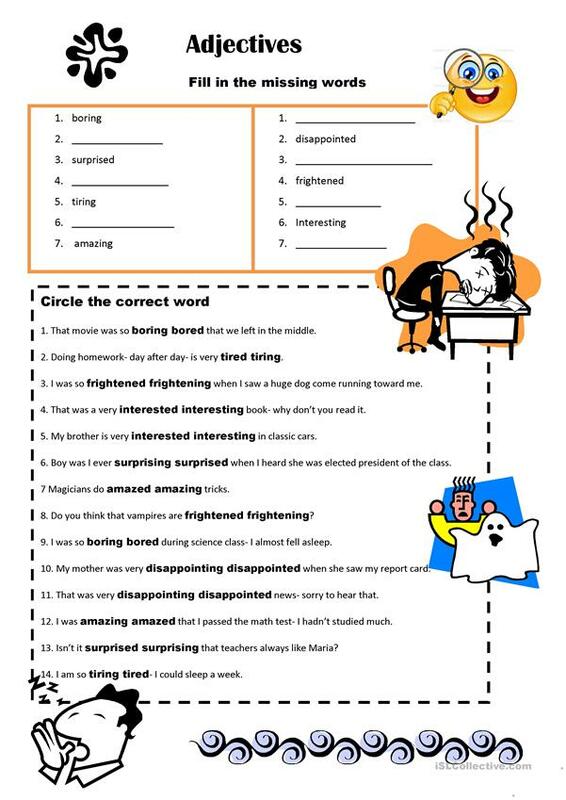 It is a useful material for practising Adjectives and Adjectives with –ed or -ing in English, and can be used for honing your students' Reading skills.